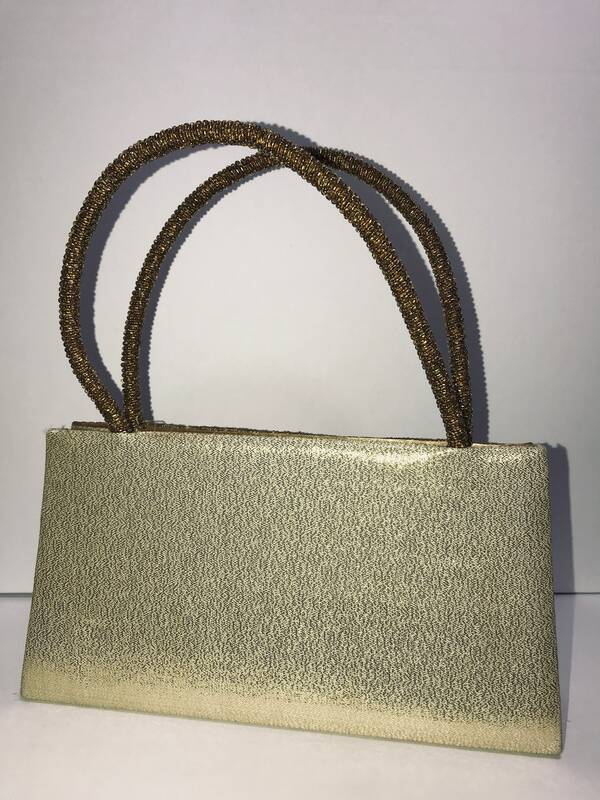 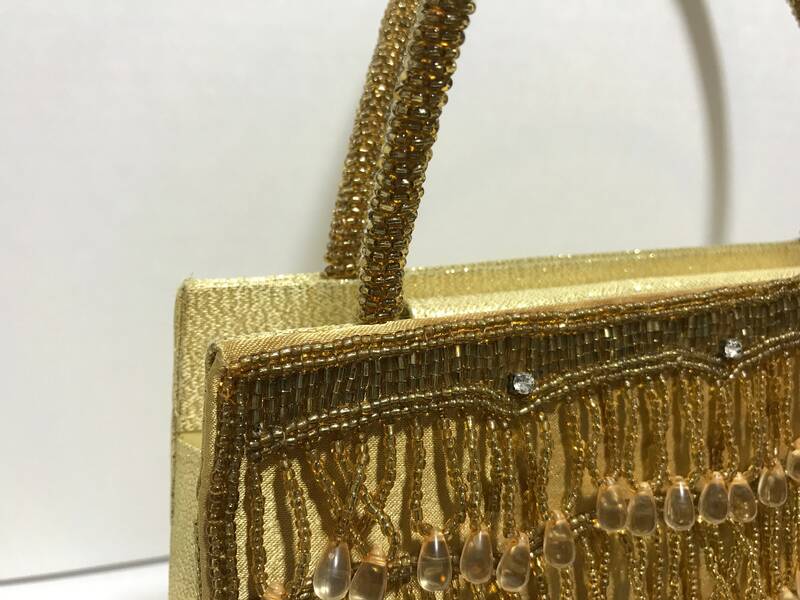 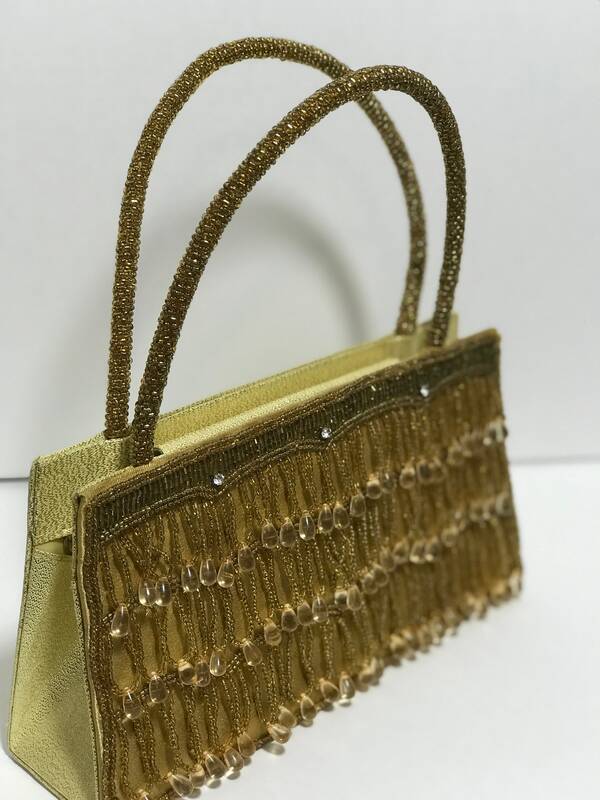 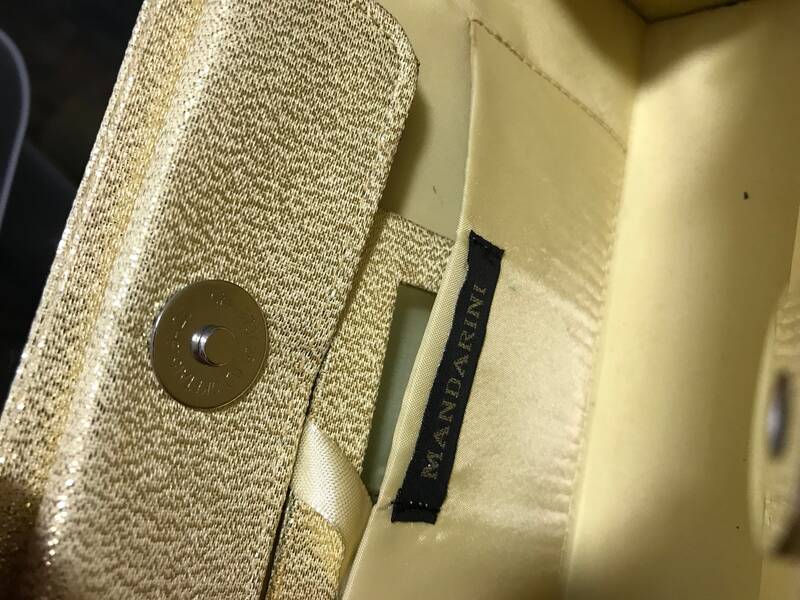 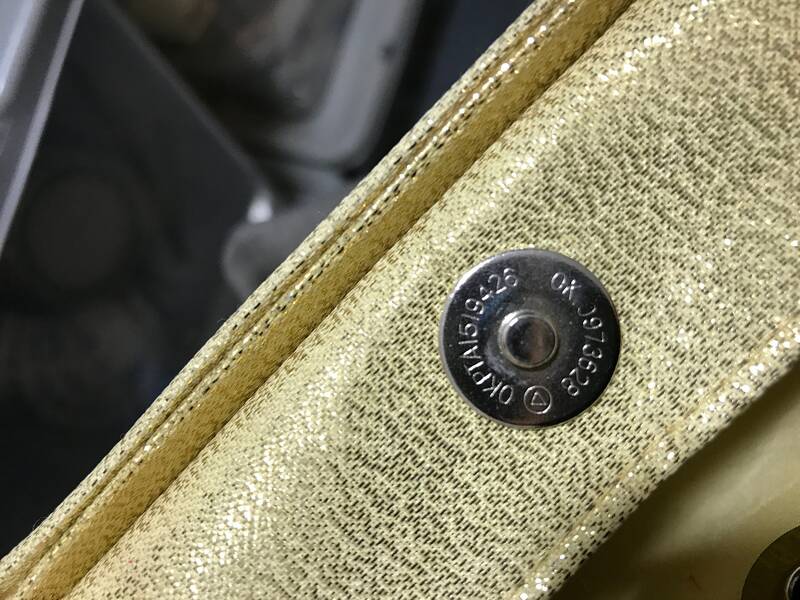 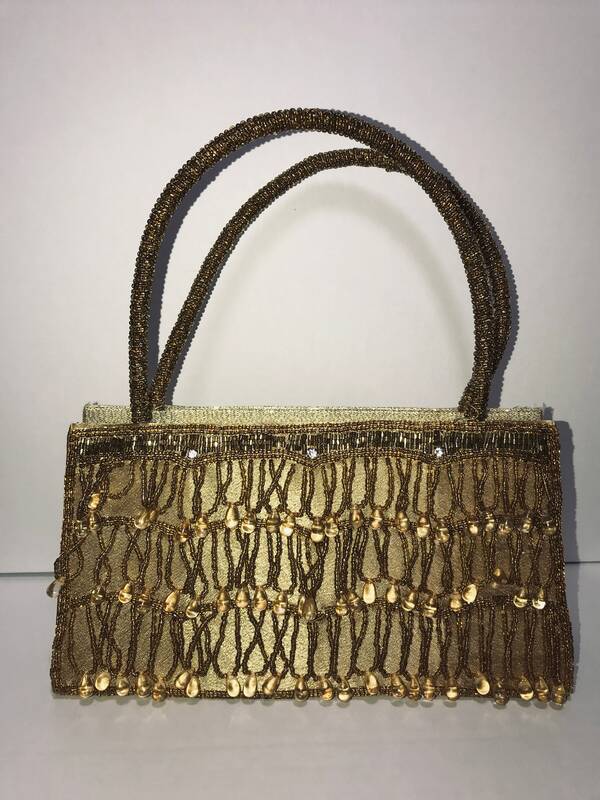 A pretty gold fabric, beaded, vintage 1960s evening purse, handbag with gem crystal detailing by Mandarini of Italy. 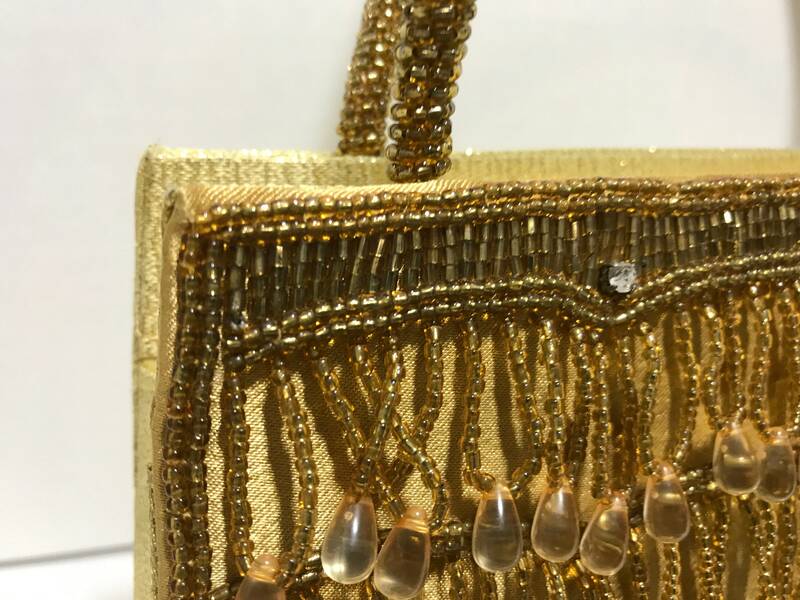 Would make a lovely accessory to evening, prom or wedding wear. 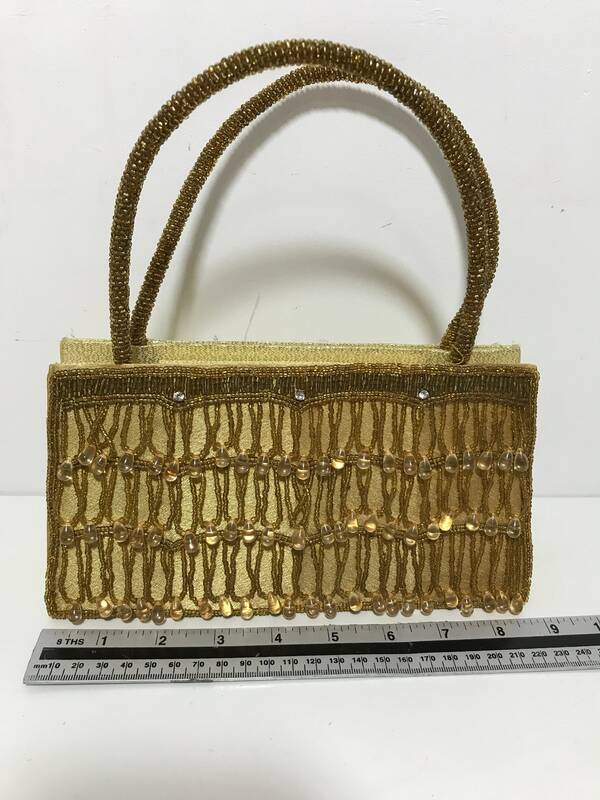 Measures approx: 9" x 5" high ( not including handle ).